Comfort and contentment await at Wooded Creek Apartments. With one and two bedroom DeSoto, Texas, apartments for rent near Townsend Park, you can choose the spacious floor plan that best suits your needs and your life. Surrounded by mature trees on expansive green lawns, your new apartment is the perfect place to create your peaceful Texas retreat. 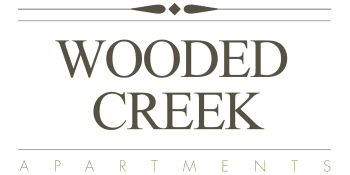 Finished with modern amenities, impressive upgrades, and plenty of space for you and your belongings, find your ideal living space at Wooded Creek Apartments. At Wooded Creek, we understand that your home is much more than a home. It’s your escape, your retreat, and your welcome respite at the end of the day. Inside your new apartment, you will find a living space crafted to accommodate and streamline your unique and contemporary lifestyle. 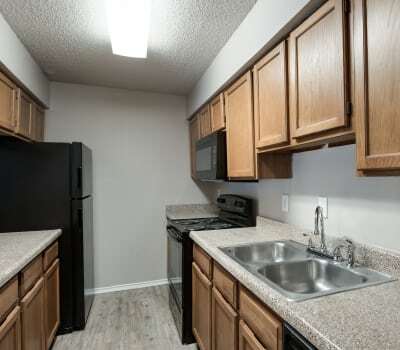 Choose from our one and two bedroom apartments for rent in DeSoto, TX. With your relaxing in-home fireplace, you can spend the winter evenings reading your favorite books by the orange glow of the fire. To keep your space clean and organized, your new apartment is equipped with washer and dryer connections as well as generous walk-in closets. Experience easy living at Wooded Creek. Give us a call to schedule your personalized tour of our apartments for rent today.